As part of FUCHS’s ongoing email campaign strategy, we’re happy to announce another email campaign has been created and sent! Adapting an existing email style previously created by us, we kept it clean and informative, with teaser stories to encourage readers to download a brochure or read the rest of the story online. 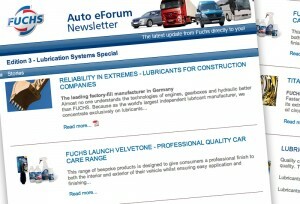 It’s a great way to get more visitors to the website, where they will likely continue to browse for more information about FUCHS and their products. It’s early days yet, as this campaign was only sent out today! 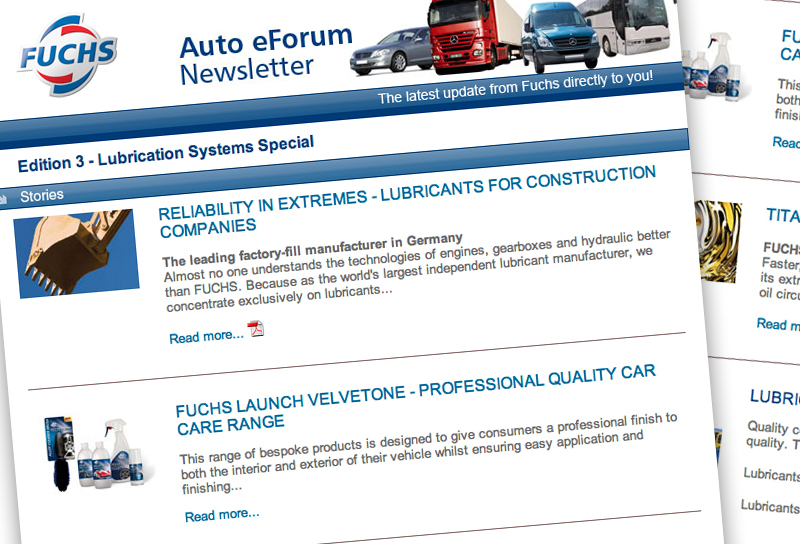 But as there has been nearly 500 brochures downloaded and visits to FUCHS’s website already, it looks like it’s another email marketing success story… in the making!